A lot of Pop stars and acts like Pentatonix are lining up to cover Leonard Cohen's ‘Hallelujah’ these days. But it strikes me most of them don’t have any clue what the song's about. 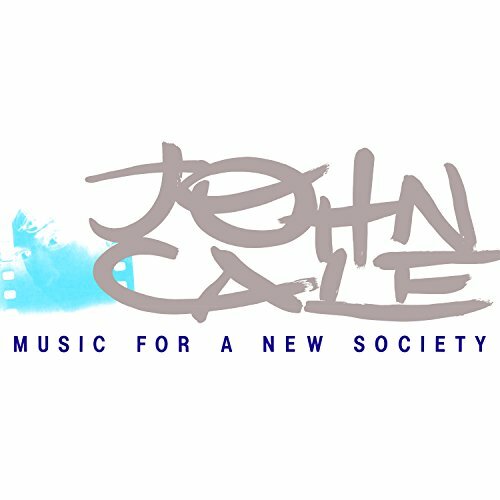 John Cale, does. His version on Fragments of a Rainy Season, remains my favorite of all of them out there. Including Cohen's original off Various Positions. Fragments of a Rainy Season, in my humble opinion, is John Cale’s best album. Much like Cale himself, it's both elegant and rough around the edges. Relatively well known and yet, more than a little underrated. When originally released in 1992 it pretty much came and went without a trace. However, it is a raw, brilliant showcase for Cale’s talents as a songwriter and performer. While there have been some comprehensive overviews, Fragments of a Rainy Season more than any, serves as John Cale’s Greatest Hits. Much like Townes Van Zandt’s Rearview Mirror, the live versions here outshine those laid down in the studio. Fragments puts you front row center as Cale strips it all down to a lonely man at the piano, “raging against the dying of the light’. This reissue begins with three songs Cale adapted from the poems of fellow Welshman, Dylan Thomas. No shrinking violet, Cale takes on heavy hitters like ‘On A Wedding Anniversary’ and ‘Lie Still, Sleep Becalmed’. Dense poems which don’t easily lend themselves to contemporary music. Rather than sound like classical music with words, these are songs. As accessible as anything you’d come across in a Broadway Musical. Yet, still left of center enough to be John Cale. Most staggering is Cale’s adaptation of Thomas’ most famous poem, ‘Do Not Go Gentle Into That Good Night’ which incredibly enough, touches on Pop territory. All, hauntingly manage to capture Thomas’ lyricism, innate musicality and darkness. Cale singing them with great passion. More than anything, that is how I would characterize this album: Passionate. Many of Cale’s finest ballads are on the menu, including one of his finest, ‘(I Keep A Close Watch) On This Heart of Mine.’ Cale singing with wounded tenderness. As if it couldn’t get any better, Cale follows it up by picking up the acoustic guitar for a gorgeous rendition of ‘Thoughtless Kind’. Also welcome is the melodic panorama of, ‘Buffalo Ballet’. Another Cale classic. Paris 1919 is probably John Cale’s most popular and highly regarded album. Most notable for its mix of Art Rock and orchestrations. The representatives from that opus are much more stripped down and unadorned. ‘A Child’s Christmas in Wales’ is one of my favorites from the album. Its title, a reference to a prose poem by Dylan Thomas. It’s a punchy, irresistible melody offset by arcane lyrics that continue to mystify. This solo piano version is even more captivating than its studio counterpart. The same goes for the rousing version of ‘Paris 1919’. Another thing that makes this reissue so essential is the outtake of ‘Antarctica Starts Here’ with strings. Not to mention, some expressively atmospheric electric guitar. Stunning. Not that this is an album entirely consisting of ballads, there are plenty of strident numbers. On the ferocious likes of ‘Fear’ and ‘Guts’ Cale becomes positively unhinged. Speaking of unhinged, Cale’s version of ‘Heartbreak Hotel’ is the stuff of legend. Not to be outdone by the studio version, Cale starts off somber, growing more agonized until he’s seething, singing through gritted teeth. Touching on all the emotions of heartbreak from self-pity to rage. As much as I adore the Elvis classic, it sounds superficial in comparison. Cotton candy to Cale’s shiv to the gut. Also on display is Cale’s musicianship. The chords becoming more disjointed and deranged as the song progresses. It alone is worth the price of admission. The same can be said of the aforementioned, ‘Hallelujah’. Allegedly, when Cale wrote to Cohen for the lyrics, Cohen sent him 60-70 verses and told him to put it together for himself. Unlike Jeff Buckley’s celestial version, Cale’s strips the song down to its bones. Where Buckley’s raises you to the heaven’s, Cale’s earthier rendition guts you. His voice, raw with emotion. Here one can see what this song is truly about. Not a tale of redemption so much as one of betrayal, loss and ultimately, acceptance. A grasping in the dark for the hand that was lost. Brilliantly capturing Cohen’s ironic blend of the sacred and the profane. Meant to be Rainy Season’s closer, its then followed by the sound of heavy rain. The extras can be considered the encore. This is a live show after all. Among them are ‘Amsterdam’ and the obscurity, ‘Broken Hearts’. In addition, Cale dusts off the Velvet Underground classic, ‘Waiting For My Man’, giving it a dramatic reinterpretation. If Lou Reed sung it as if he just shot up, Cale’s version sounds as if he’s in the hair-raising throes of withdrawal. Intense, to say the least. You’ve never heard it quite like this. As you can no doubt tell, I’m a big fan of the original album. I think its not only Cale’s finest album but one of the finest live albums around. The extras on this reissue just sends it through the roof. Essential listening. For the uninitiated, the perfect introduction. Great review Kevin. I had the DVD and now I'm trying to find it !